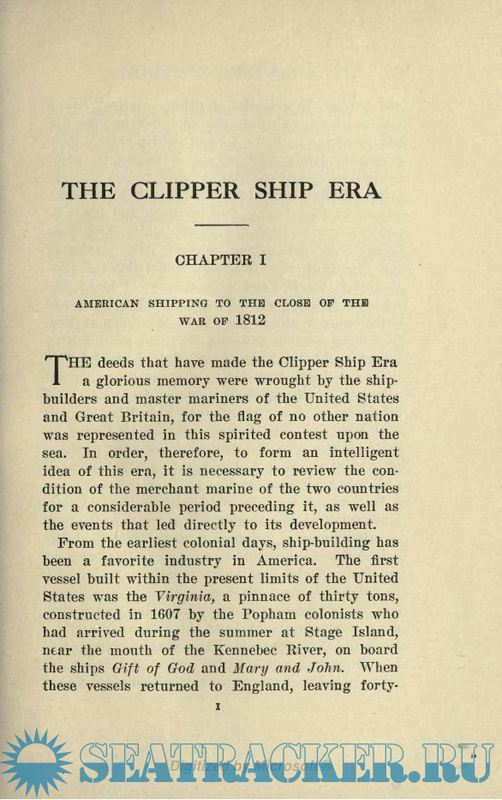 Description: The Clipper Ship Era. 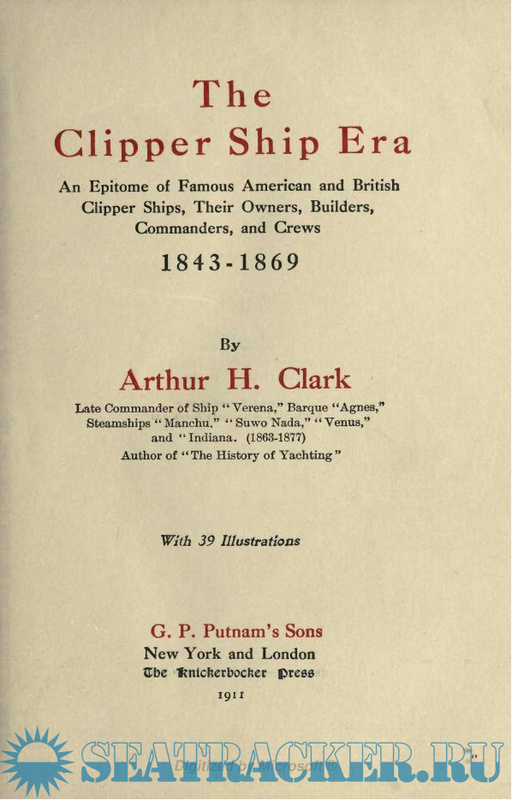 An Epitome of famous American and British Clipper Ships, their Owners, Builders, Commanders, and Crews. 1843-1869. 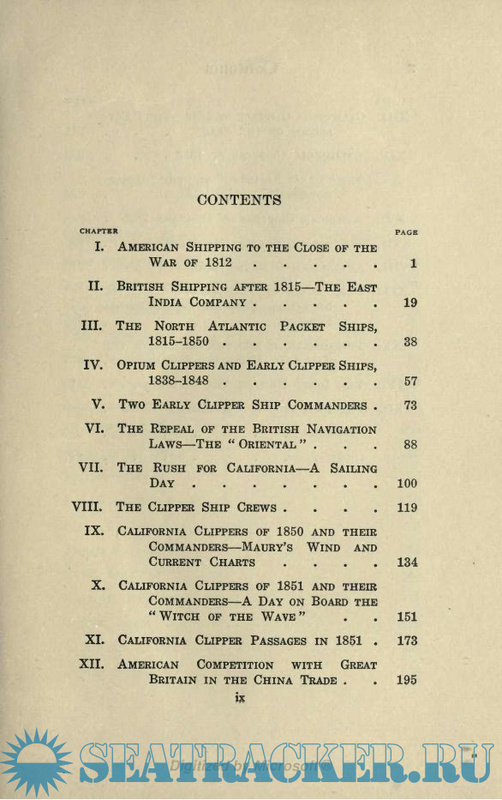 The Clipper Ship Era began in 1843 as a result of the growing demand for a more rapid delivery of tea from China; continued under the stimulating influence of the discovery of gold in California and Australia in 1849 and 1851, and ended with the opening of the Suez Canal in 1869. These memorable years form one of the most important and interesting periods of maritime history. 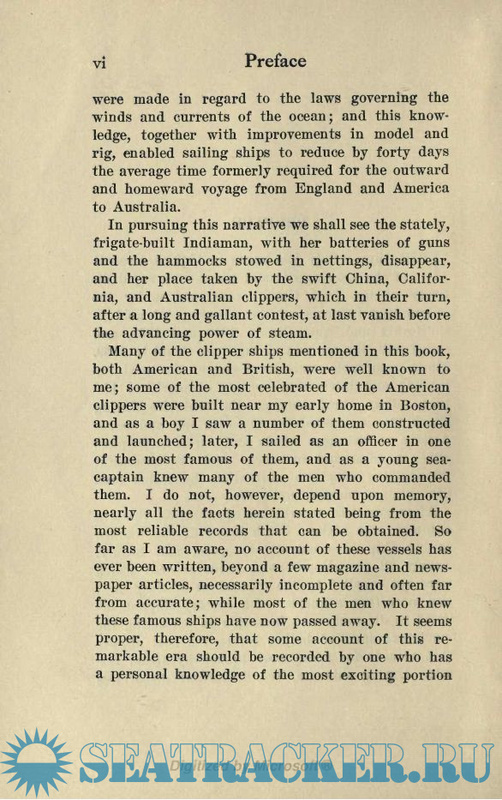 They stand between the centuries during which man navigated the sea with sail and oar — a slave to unknown winds and currents, helpless alike in calm and in storm — and the successful introduction of steam navigation, by which man has obtained mastery upon the ocean. After countless generations of evolution, this era witnessed the highest development of the wooden sailing ship in construction, speed, and beauty. 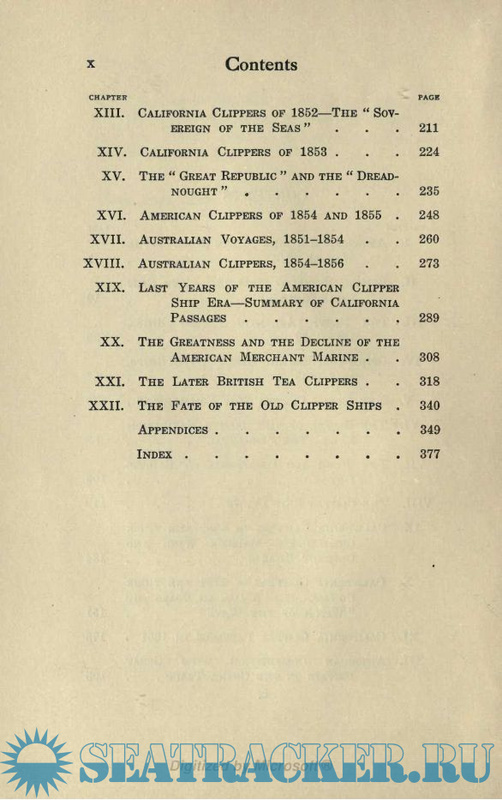 Nearly all the clipper ships made records which were not equalled by the steamships of their day; and more than a quarter of a century elapsed, devoted to discovery and invention in perfecting the marine engine and boiler, before the best clipper ship records for speed were broken by steam vessels. 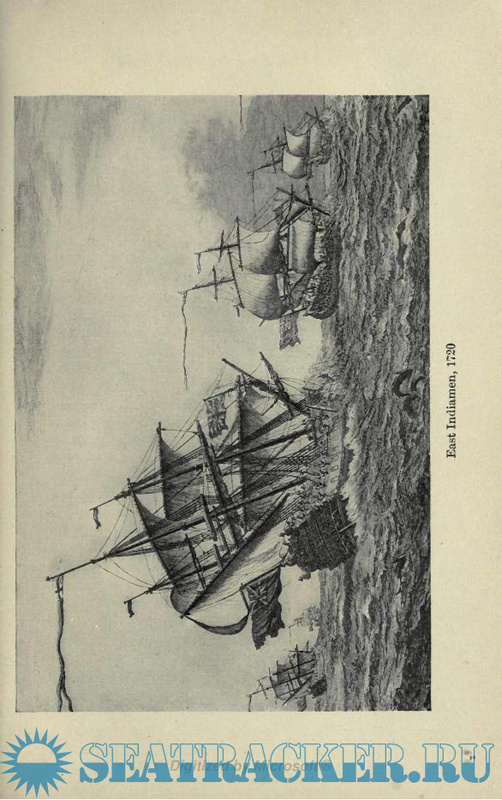 During this era, too, important discoveries were made in regard to the laws governing the winds and currents of the ocean; and this knowledge, together with improvements in model and rig, enabled sailing ships to reduce by forty days the average time formerly required for the outward and homeward voyage from England and America to Australia.